You Can Apply Powder BEFORE Liquid Foundation! Who knew you could do it this way? One of the first makeup rules we learn is to apply cream and liquid products before powder. When it comes to putting foundation, we usually smooth on our moisturizer, primer, and foundation, then seal everything in with some loose powder. Simple. 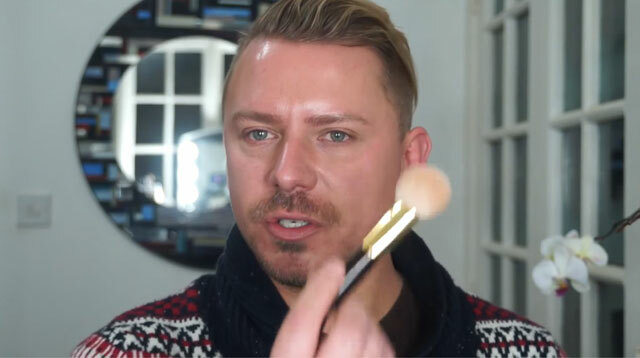 However, there is another method of applying foundation that is totally unconventional, and it's called “The Goss Method.” Popularized by celebrity makeup artist Wayne Goss, the technique calls for you to use powder before applying your liquid foundation. He first published a video about it back in 2014, explaining that after applying moisturizer and primer, you should try dusting some loose powder first. Then, go ahead and apply your liquid or cream foundation. He reasoned that this trick not only fills in your pores and fine lines better, it also prolongs the wear of your foundation. Try out this trick and let us know your thoughts, CGs!